Ingersoll Rand is a well-known name around the industry. From air tools to air compressors to cordless tools, Ingersoll Rand manufacturers an excellent product used worldwide by mechanics. This spotlight article is about the IR impacttool line, specifically the ½” version as that seems to be a highly popular size of impacttool. 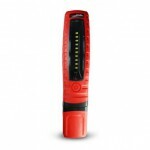 Let’s start off with one of the most popular ½” impacttools on the market, the 2135TiMAX. 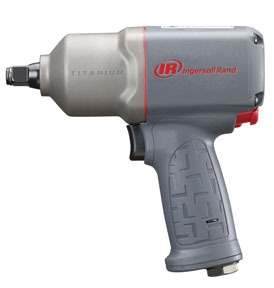 This tool “sets the standard for performance with the best power to weight ratio on the market in its class.”, according to the experts at Ingersoll Rand. 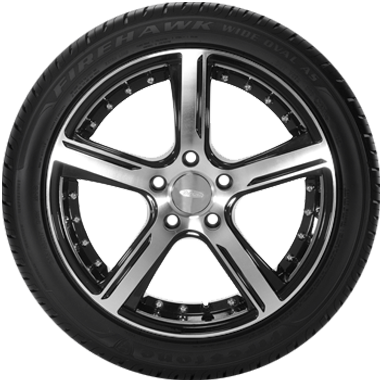 With 780 ft-lbs of MAX reverse torque and weighing less than 4 lbs, it’s the best power-to-weight ratio in its class. 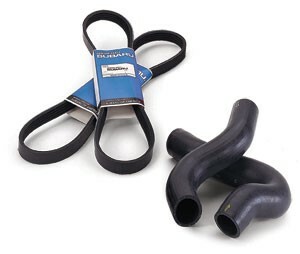 This tool also comes with a free two-year limited warranty with the tool registration at www.irtools.com. 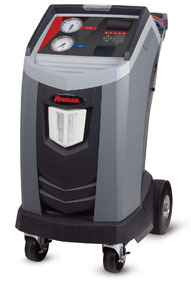 Perfect for both industrial and vehicle service work, the new 2135TiMAX delivers maximum power and control, along with unmatched reliability. The 2235 Series is a finely tuned workhorse, from its components to its technology, to be the impact wrench you can always count on to get real work done. As always, Ingersoll Rand has delivered two of the best impacttools on the market today. After using both of these tools, I can safely say that I’m dually impressed. 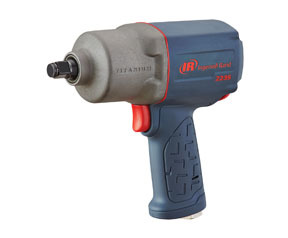 If you are looking for a great brand, great product, and reliability…Ingersoll Rand 1/2” impacttools are the way to go! Have a testimonial on this product or another Ingersoll Rand product? Send it over and you could be featured on the next National Tool Warehouse blog! I have seen a few of these around but never knew the purpose of them. Let’s break down what a feeler gauge is. Feeler gauges are used to measure the gaps in widths between 2 objects. Feeler gauges are made of different thicknesses and lengths. There are two types of units that the feeler gauge uses to measure, the imperial (thousandths of an inch) and metric (millimeter). Feeler gauges are made out of either blades or wire. 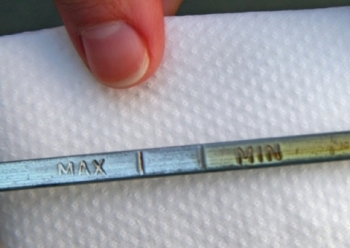 The wire feeler gauges are used to measure spark plugs. The most common Feeler gauges are made from high-quality carbon steel and have a very smooth finish. Blade Feeler gauges can also come in an assortment of stainless steel, brass and plastic. However, metal feeler gauges are easier to maintain and have a better wear resistance. To use a feeler gauge make sure you examine them before each use. 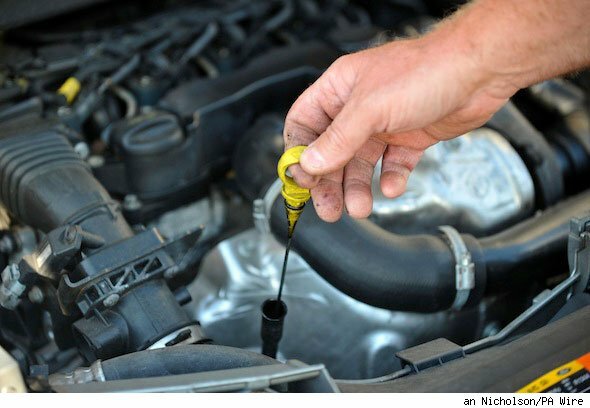 Do this by spreading them out making sure they rust-free, but slightly oiled for easy movement. Select one of the smaller blades or wires and try inserting it into the space. If it slips out easy choose the next side up. When both sides of the gauge touch the gap and it moves with gentle pressure, then you’ve found the correct feeler gauge for that gap. 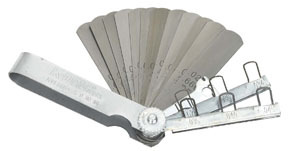 A blade feeler gauge can also be called a flat feeler gauge. A set generally comes in a holder and contains a series of blades with different thicknesses that are stamped for easy identification. 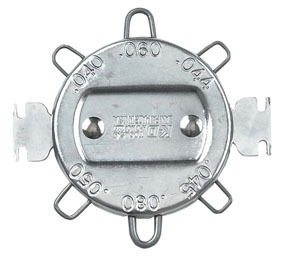 A blade feeler gauge is generally flexible and can be used to reach hard places. The wire feeler gauge is a series of round wires with different thicknesses in a holder usually bent into a U shape and are less flexible than the Blade Feeler Gauge. These wire feeler gauges are more frequently used in the automotive industry. 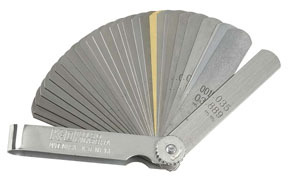 In case you need a combo unit, there are a few manufacturers that make blade/wire feeler gauge sets. Sometimes having one tool is better than having to keep track of two! To see the entire feeler gauge category, click HERE! Don’t forget…sign up for our email blasts and be the first to get coupons and specials, right to your inbox! Here at National Tool, we receive “fan mail” from our customers on a regular basis. We pass on the comments and helpful tips to our employees as training tools to make our business better. 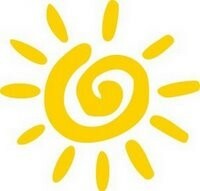 But, we’ve received a rave review on a fairly new product line and we decided to share it with our customers. We would love to hear your feedback on a product you’ve purchased, good or bad! Send us an email with your review and you may be featured on a future blog! I wanted to share a story with you about a product that we recently purchased from you all, The Pig Mat roll. 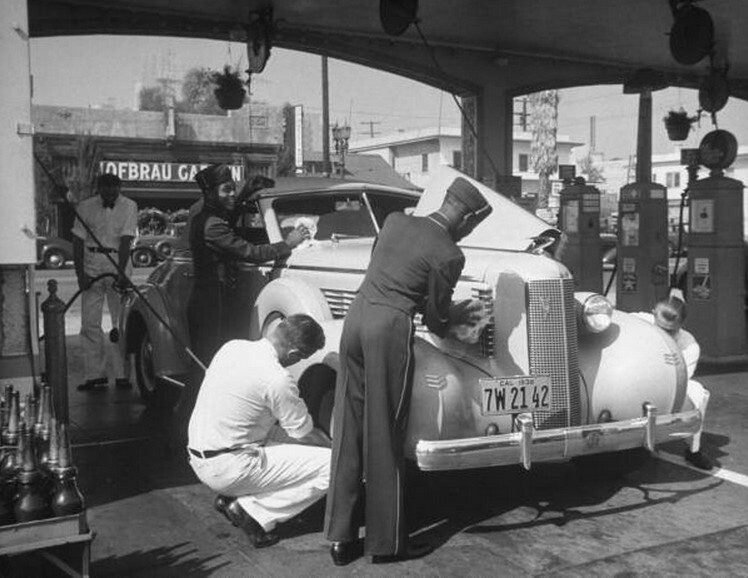 My family and I attend car shows all of the time and if we have a leak, it is a mess to clean up! We have been looking for something that was light-weight and easy to use. This new pig mat towel was so easy to use and we didn’t have to clean up a mess after using them. 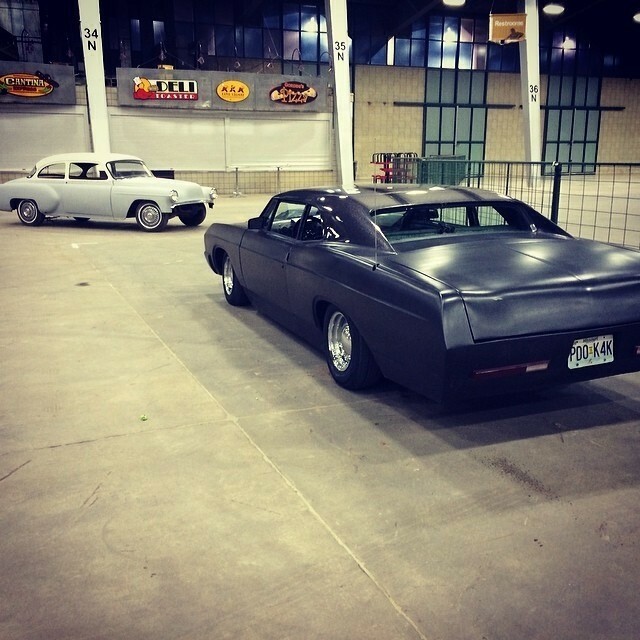 We placed a couple sheets under the engine compartment while we were at an indoor show and WOW does it work! The oil decided to leak out and it could have gotten everywhere. It was so nice to be able to pick up the mats and just throw them away. A neighbor of ours at the show was so impressed that we gave them a couple to use and they are in love with them also. I would recommend these to anybody out there and you’ll definitely be getting more of our business soon! P.S. I’ve included a picture of two of our cars that you can share with your employees and your customers. We would like to thank Jerry and his family for sharing their story and their product review! According to the Robinair website, the Robinair 34788NI and 34788NI-H machines recover, recycle, evacuate, leak-test and recharge R-134a with improved 98.5% efficiency – unmatched by any competitor. The new design features a larger graphical display, automatic features including leak testing, automatic refrigerant refill and oil drain/inject – putting A/C lubricant back into the system. 34788 also boasts the ability to add a printer, USB data sharing, refrigerant identifier and wireless module for Wi-Fi or Bluetooth® communication. An optional refrigerant charge and oil capacities database is available for North American market vehicles. So, how does this new model stack up to the older version? We’ve generated a sheet to show you how all of the Robinair machines stack up against each other. From what we can tell, these are very impressive machines. Make sure you visit the information Robinair has released. It’s informative and will help you decide if one of these machines is right for you! 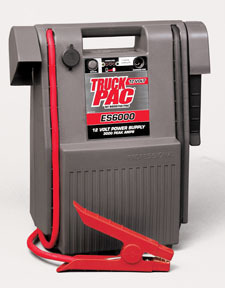 The new Schumacher SL1 charger/jump starter is a must have. 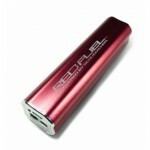 It can charge your cell phones, mp3 players and tablets up to 2x faster than a regular charger. It is small enough to fit into your glove compartment and it is light weight. This item will also jump start your vehicle…you simply plug one jumper cable into the battery and the other one onto something metal…press the jump start button and your car will start! It’s so easy! 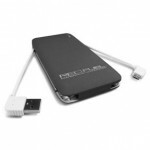 It also comes with a wall charger and a car charger for the unit. You can still use the car charger even if your vehicle will not start and the battery is dead. This would not only make a great gift but it is a must have item for all people who own a vehicle. Not to mention, it’s inexpensive. 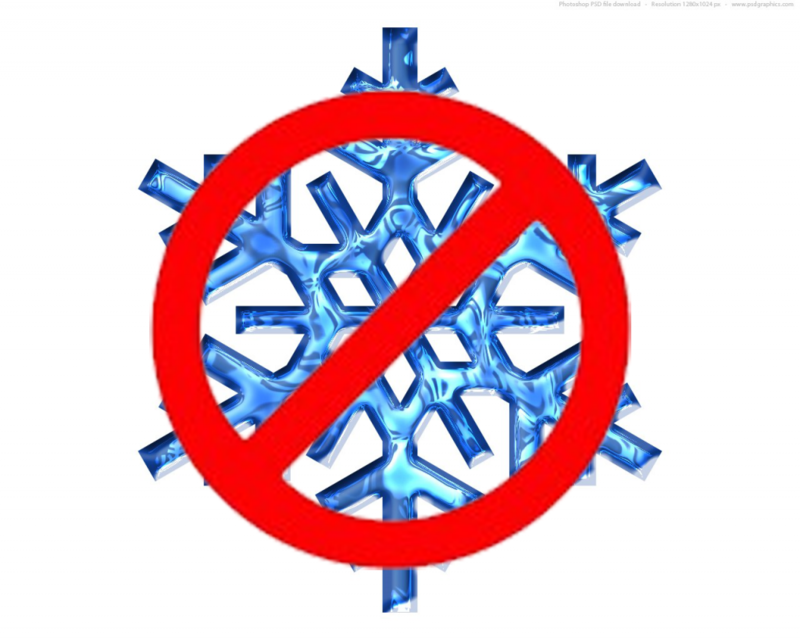 I know with this crazy weather I’ll be getting myself one, will you? 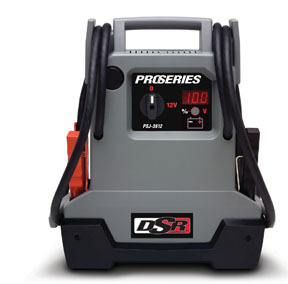 When Should You Recharge Your Jump Starter? 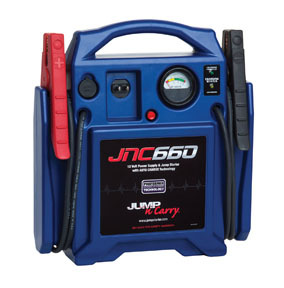 A common question among jump starter owners…When do I recharge it to make sure it’s fully charged and ready to use? 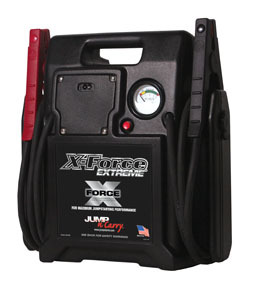 Clore Automotive, a leading jump starter manufacturer, has devised a system to alert you when it’s time to recharge your jump starter. Believe me…as soon as I found this site, I signed up! 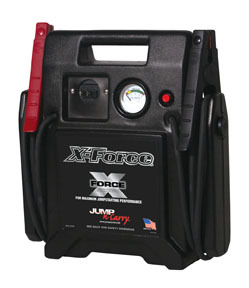 It’s a pain to try and remember when to recharge your jump starter unit and try to remember when the last time was that you recharged it. You don’t want to get stranded with a dead jump starter…kind of defeats the purpose huh?!?! Check out the Clore Automotive getincharge page to sign up and receive email alerts quarterly reminding you to recharge your machine. You’ll love it! Unique Gift Ideas For That Hard-To-Buy-For Man! Why spend days, weeks, even months trying to find the best gift for your husband, brother or teenage son? When you ask your husband/brother/son what he would like for Christmas this year, what do you think his answer will be? The standard “I don’t know”, “tools”, “money”, “I’ll love whatever you get me”?? I recently bought the SHUSL-5 and ended up losing it to my 17-year-old son. It works great for charging your iPhone. He was almost dead and plugged his phone into the Fuel Pack and let it charge while watching a show and it didn’t take much time at all for his phone to be fully charged. Needless to say, I never got the Fuel Pack back and had to buy myself another one! Whether you decide to go for the SHUSL-3, SHUSL-4 or SHUSL-5, you can’t really go wrong. These are all great units and will be treasured by all who receive them! Make sure you also check out the SHUSL-1 and the SHU-SL-360R. 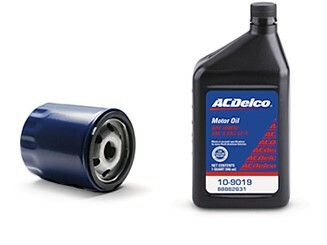 Those are top picks on the Mechanic’s List this year. 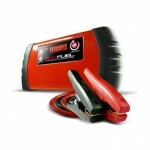 The SHUSL-1 is also a great contender when it comes to picking a jump starter to leave in your car this winter. 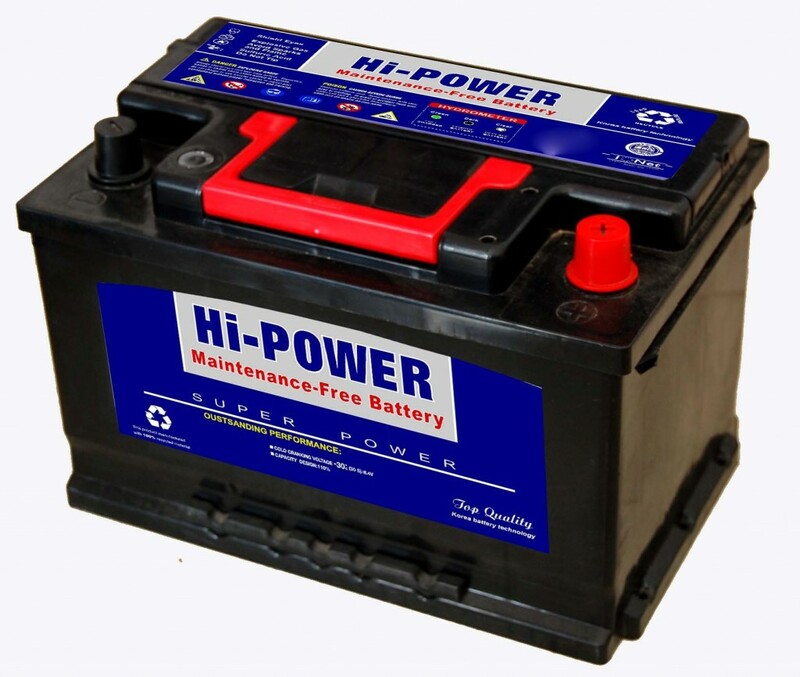 I recently wrote a blog called Picking the Right Jump Starter For You to give everyone some ideas about which jump starter will work best for your vehicle. 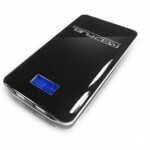 Make sure you check it out before you buy a new power pack. As always…stay connected to our Specials and New Products by signing up to get our email blasts. We typically only send one email per week and we don’t sell or rent your email to any other companies.